Craft Training Board, members, terms and term limits, bd reappointed, Sec. 41-4-412 am'd. To amend Section 41-4-412, Code of Alabama 1975, relating to the terms of members of the Craft Training Board; to allow members to be appointed for an additional term and to provide for the staggering of the terms of the board. (a) It is the intent of the Legislature to establish and provide for a coordinated effort between the construction industry and institutions of higher education and other entities, including, but not limited to, union training programs, to enhance the availability and quality of programs which promote construction industry craft training and education, and thereby enhance the availability and competence of the work force for supporting the industry. 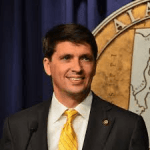 (1) Two voting members appointed by the Governor from a list of six members, or member representatives, of the Associated Builders and Contractors of Alabama, Incorporated, or its successor, submitted to the Governor by the Associated Builders and Contractors of Alabama, Incorporated. (2) Two voting members appointed by the Governor from a list of six members, or member representatives, of the Associated General Contractors of America, Incorporated, or its successor, submitted to the Governor by the Associated General Contractors of America, Incorporated. (3) One voting member appointed by the Governor from a list of three members, or member representatives, of the Subcontractors Association of Alabama, or its successor, submitted to the Governor by the Subcontractors Association of Alabama. (4) One voting member appointed by the Governor from a list of three members, or member representatives, of the Birmingham Construction Industry Authority, or its successor, submitted to the Governor by the Birmingham Construction Industry Authority. (5) One voting member to be appointed by the Governor from a list of three members, or member representatives, of the Construction Users Roundtable, or its successor, submitted to the Governor by the Construction Users Roundtable. (c) When a craft training board member resigns or otherwise relinquishes membership in the organization that recommended his or her appointment by the Governor, the resignation or relinquishment shall automatically result in forfeiture of membership on the board. Any vacancy on the board shall be filled by appointment by the Governor upon the recommendation of the relevant organization for the remainder of the unexpired term. (d) Appointments to the craft training board shall be made by October 15, 2016. Each board member of the Craft Training Board shall serve for a three-year term and of three years or until a successor is appointed, qualified, and assumes office. The terms of all board members serving on the effective date of the act adding this language shall expire October 15, 2018. Board members shall be ineligible for reappointment eligible for reappointment, but shall not serve more than two consecutive terms. All board members appointed to fill terms beginning October 16, 2018, shall serve staggered terms as follows: Two board members shall be appointed to serve a term of one year expiring October 15, 2019; two board members shall be appointed to serve a term of two years expiring October 15, 2020; and three board members shall be appointed to serve a term of three years expiring October 15, 2021. All board members appointed to the board thereafter shall be appointed for a term of three years. The organizational meeting of the board shall be held during the last 10 days of October 2016 at the time and place determined by the board members representing the Alabama Associated General Contractors of America, Incorporated. At the first meeting, the craft training board shall elect its chair and officers. Thereafter, the board shall determine its meeting schedule. The board shall meet at least quarterly. No member shall draw any salary for any service he or she may render or for any duty he or she may perform in connection with the board, but shall be entitled to reimbursement of reasonable expenses incurred that are directly related to the duties in serving as a member of the board. The membership of the board shall be inclusive and reflect the racial, gender, geographic, urban/rural and economic diversity of the state. The board may also appoint geographically oriented advisory committees and invite local employers and employees in the construction industry to relate specific labor force problems that may be solved by the craft training program. The advisory committees may be composed of individuals who are not craft training board members. (1) To develop curricula for use in craft training programs. (2) To establish forms, criteria, guidelines, and procedures regarding construction industry craft training programs and procedures to be used in requesting appropriations of funds from the Craft Training Fund. (3) To solicit and receive from institutions of higher education and other entities, including, but not limited to, union training programs, applications for use of monies in the Craft Training Fund, to be used in the implementation of craft training programs and in accordance with this part. (4) To disburse funds from the Craft Training Fund consistent with this section and which the Craft Training Board deems appropriate and under such conditions and terms as the Craft Training Board deems appropriate. (5) To provide grants to educational, governmental, nonprofit, community-based, workforce development, economic development, and other organizations and associations engaged in the education, training, and professional development of persons engaged in activities leading to the furtherance of careers in nonresidential construction in accordance with the purposes of this part and which the Craft Training Board deems appropriate, and under such conditions and terms as the Craft Training Board deems appropriate. (f) The Craft Training Board shall have exclusive control over the expenditure of all funds in the Craft Training Fund, as well as the exclusive authority to exercise the powers specifically listed in subsection (e). A majority of the members of the Craft Training Board shall constitute a quorum for the transaction of any and all business of the Craft Training Board. The director, technical staff, and support personnel of the Division of Construction Management of the Department of Finance shall implement the resolutions and decisions of the Craft Training Board. The Craft Training Board shall be responsible for reimbursing the Division of Construction Management of the Department of Finance, from the Craft Training Fund the costs it incurs in order to administer the program." March 1, 2018 S Assigned Act No. 2018-181.